Come Up To My Room returns for it's 15th year Anniversary to pack all four floors of the Gladstone with site-specific, immersive art and design installations over four days (January 18 – 21). And how do we celebrate Toronto’s favourite alternative art and design event? With a party, of course! Join us on Saturday night for the opening reception and explore all four floors – then drink and dance the night away in the Ballroom while admiring fabulous installation works by Sherley Soraya Wijaya. 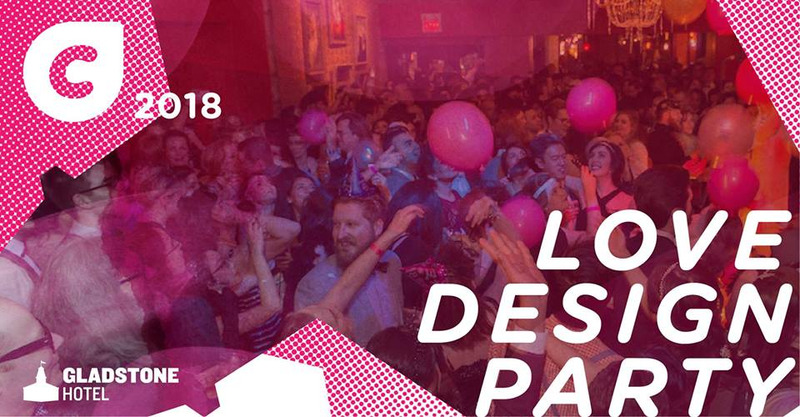 Love Design Party is the official celebration for #CUTMR2018 and closing party for the Toronto Design Offsite Festival. See you there!